It’s the color of that sweet, plump, eat-over-the-counter fruit we all love so much. The color of flirty cheeks. The color of a paint-worthy tropical sunset. Peach was a popular hue in the 80s and 90s, only to be deemed “out of style” years later. Now, it’s back and bigger than ever. Cheers for peach! Softer than salmon and not far from pink, peach is feminine yet not too girly — neutral enough to appease your masculine mate. Pair peachy florals with sage-toned greenery like olive leaves and lamb’s-ear for that country garden feel that’s ever so popular right now in the weddingsphere. Take it a step further and incorporate the actual fruit into your decor for a rustic addition. 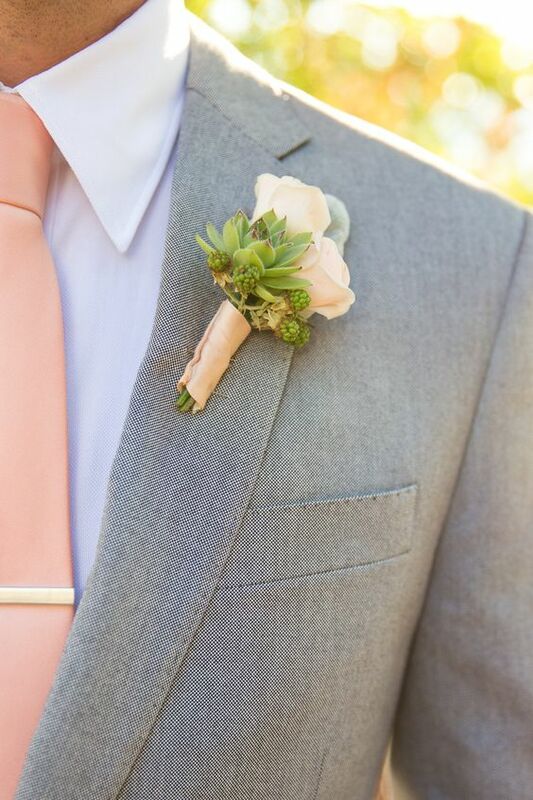 Perfectly pretty in every way, peach makes any wedding color palette a winning one. Check out these peachy keen pics!